I love flamingos. They are so much fun to watch especially when they spend most of their time on one leg. This new stamp set offered by Stampin'Up this year has eight great stamps. Not only the flamingo but also a pineapple for good luck, 2 tropical leaves, a heart shape with Thinking of you ,a Thakn You banner, the Hellow and also "A VERY special day ".The card here was made for a swap I'm in with other Stampin'Up demonstrators. 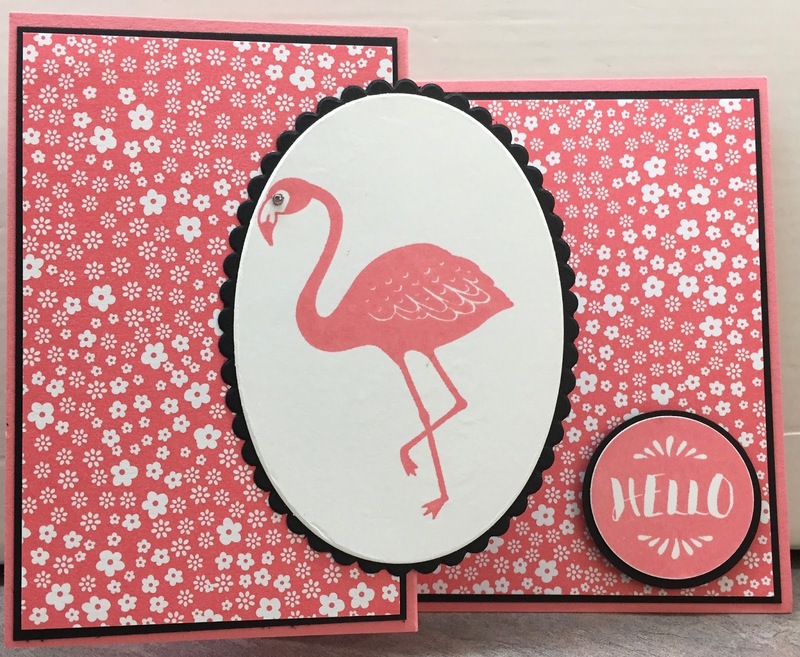 The color chosen is one of the new InColors called Flirty Flamingo appropriately named. I just paired it with black and white using the InColor Designer Series paper stack. 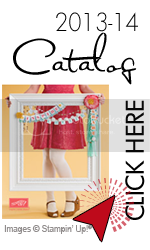 The card is designed as a " Z" card using the brand new Layering Oval Framelits by Sizzix also found in the new catalog . I colored one of the smallest pearls with a Sharpie black marker. This is a great stamp set to own.